Every year Tampa attracts millions of tourists that flock to the area for its mild winters, hot summers and gorgeous beaches. With thousands of golf locations available, including some that are private, there is nearly every kind of option available for Tampa golf communities. As a premier destination for golfers, Tampa offers many residential golf communities. Whether you prefer to live right on the course or near a public course or country club, Griffin Group can help you to locate a home or condo in a golf community with modern amenities. Many country clubs in the area also offer additional amenities including swimming pools, dining facilities, tennis courts and more. Finding about the homes that are available for sale is as easy as browsing the golf communities in Tampa listings online. Cypress Run is a prestigious golf community that is located in Tarpon Springs. This community consists of custom built homes and villas and has a private golf course especially for its residents. This community is exclusively dedicated to active living and many homes offer exceptional views. For people that enjoy the outdoors, Cypress Run is a competitive option. The Village features access to residential amenities with the Brownwood Town Center located just minutes away. Glen Lakes golf community features luxurious home with pools and patio areas. The interiors of these homes have fireplaces with formal dining rooms and other modern amenities. Enjoying a relaxing day at home is possible or residents can take advantage of optional recreational facilities that are available. Glen Lakes is located next to the 85,000-acre Chassahowitzka National Wildlife Refuge, which borders the Gulf of Mexico, providing nature lovers with plenty to enjoy. 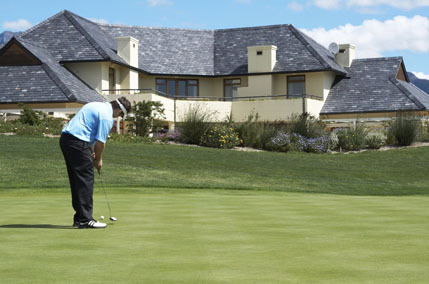 At Griffin Group, we don’t only offer golf communities. We also buy and sell properties in the surrounding areas and counties of Westchase, Clearwater, St. Petersburg, Brandon, Valrico, Wesley Chapel, Trinity, Lutz, Land O’ Lakes, and Odessa. To learn more about the properties that we offer, contact us today to schedule your personalized tour of Tampa golf communities.